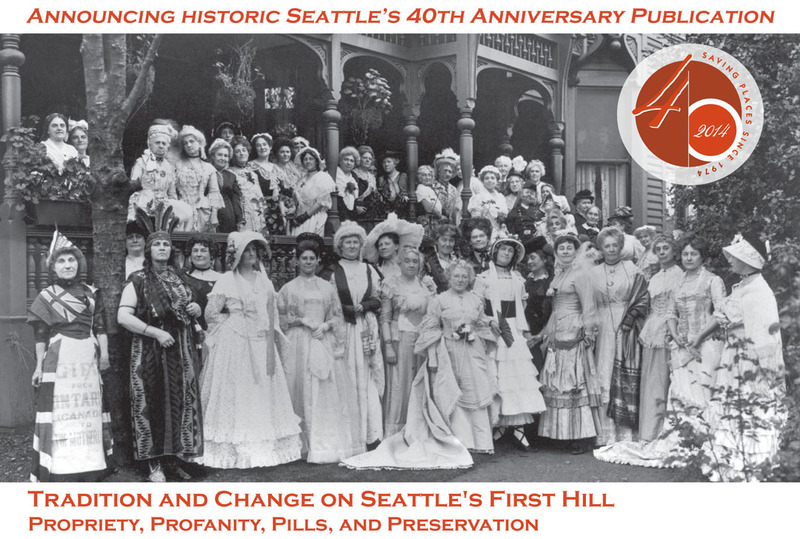 As part of our 40th Anniversary, Historic Seattle is publishing an architectural and cultural history that captures the neighborhood’s changing character as home to residences, social clubs, religious institutions, apartment buildings, and hospitals. This project has been supported by 4Culture Heritage Special Projects grants and private donors. Historic Seattle is in the final push to raise additional funds for publication costs. Special benefits for high-level sponsors ($500+) include recognition at the Book Launch at Town Hall Seattle on December 4, 2014. Show your support by donating online today. 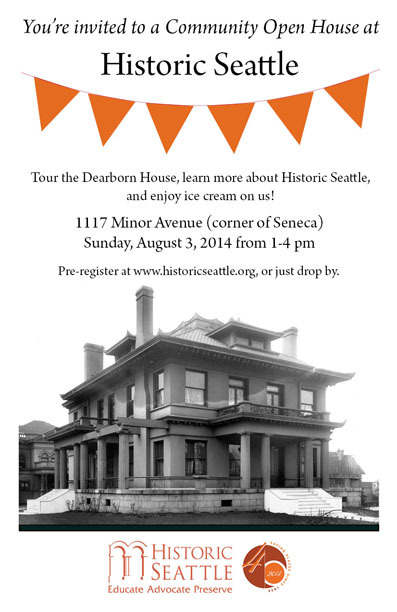 For more information, please contact us at (206) 622-6952, ext 221 or info@historicseattle.org. Historic Seattle, in collaboration with the National Trust for Historic Preservation, is working with Panama Hotel owner and steward, Jan Johnson, to develop a long-term plan that preserves this rare National Historic Landmark (NHL) for the future and improves community access and interpretation. In addition to being a National Historic Landmark, the Panama Hotel is a contributing resource to the International Special Review District and Seattle-Chinatown National Register Historic District. 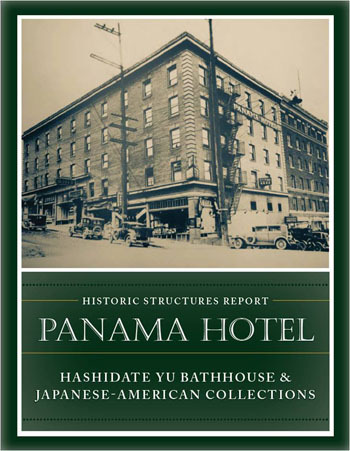 Located on the southeast corner of Sixth Ave S. and S. Main St. in Seattle’s Japantown (Nihonmachi) within the International District, the Panama Hotel is nationally significant for its association with the historical theme, “Japanese immigration to the United States,” and also significant as a building type that is exceptionally valuable for the study of the earliest generation of Japanese immigrants in the United States. Built in 1910, the Panama Hotel was designed by Sabro Ozasa, the first Japanese architect to practice in Seattle. Along with hotel rooms, the Panama Hotel also contained the traditional Japanese bathhouse or sento (located in the basement). The bathhouse in the Panama Hotel is the most outstanding representative example of an urban bathhouse in the country (only two remain) and possesses an extraordinarily high degree of integrity. When owner Jan Johnson purchased the property in 1986 from Takashi Hori, owner of the building from 1938 to 1986, she also became the caretaker of Japanese American artifacts that had been left in the basement of the Panama since World War II. In 1942, many Nikkei were forced to evacuate their homes for World War II internment camps. They packed their personal belongings in large trunks and stashed them in the basement of the hotel. Many of these items remain in place as part of the building’s history and legacy to the city and the nation. 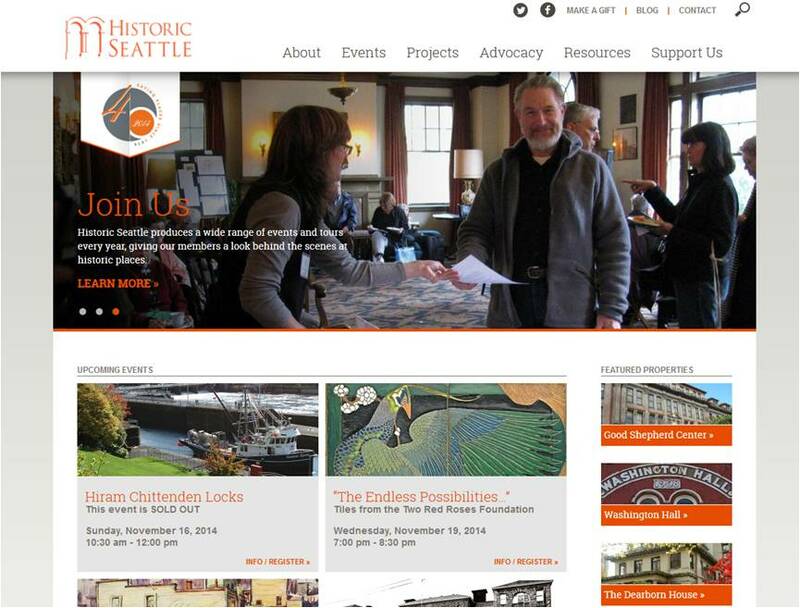 Historic Seattle is looking for a new Bookkeeper. If you or someone you know is interested, please contact us. The job announcement is listed below and also posted on our website at http://www.historicseattle.org/about/jobopp.aspx. Deadline to apply is Friday, August 8, 2014. Starting with a playwright who thought a local IKEA showroom would be a great place to stage a play, 4Culture has been supporting works of art produced in unexpected places through the Site Specific grant program since 2005. In 2013 the program changed focus, funding projects that interpret and explore the significance of a historic King County site or landmark. 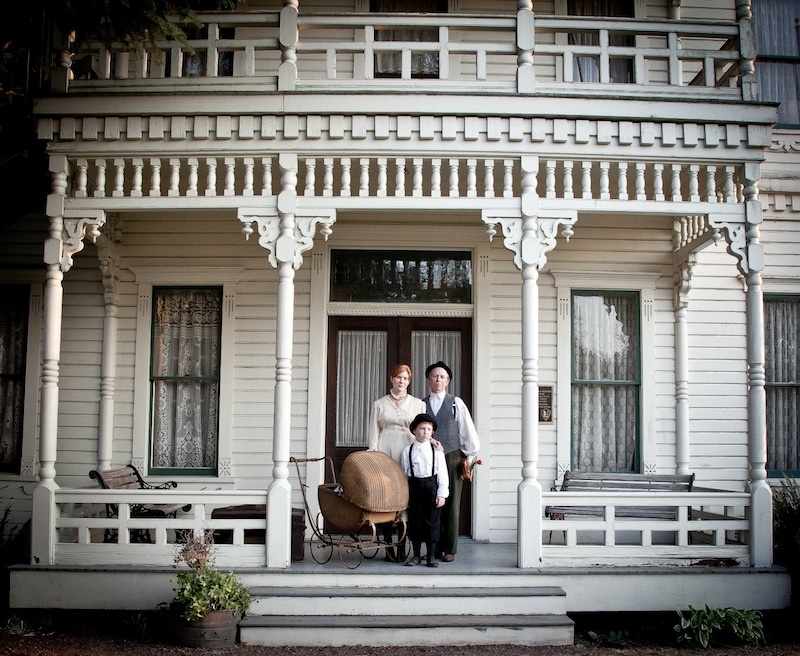 Imagine walking into Neeley Mansion, a 1894 Victorian classic revival farmhouse located in Auburn, and experiencing If These Walls Could Talk, a performance and series of short films that tell the stories of five families that lived in the mansion. What would you learn about the Mansion? How would experiencing the stories of those who lived there make you feel? What would you understand about our region? This is Historic Site Specific. The current iteration represents a unique effort by Arts, Heritage, and Preservation funding staff, shaping a program that supports artists working collaboratively with historic sites around King County, to engage historic sites and illuminate their story. For the 2014 program, we are currently looking for historic sites to participate in the program by joining the roster. Sites on the roster are featured on our website and can be contacted by artists who are interested in working with them on a project. If the artist’s proposal is funded, sites collaborate further with them through the execution of their project. The deadline to apply for inclusion in the Roster of historic Sites is September 12, 2014. Artists/Sites will be submitting their final proposals by October 8, 2014. We at 4Culture want to build a robust and diverse roster, and encourage all King County historic sites and landmarks to apply. Benefits of inclusion include increasing community engagement and visibility as well as access to new audiences. This is an opportunity to be a part of a unique and innovate partnership with 4Culture and King County artists. For criteria and to apply, visit sitespecificarts.org. Please contact Charlie Rathbun at 206.296.8675 with questions. About the author: Guest blogger Christina DePaolo works in the communications department supporting initiatives and programs at 4Culture, King County’s arts and culture funding agency. The Seattle Landmarks Preservation Board unanimously nominated the Ainsworth & Dunn Warehouse (2815 Elliot Ave) at its July 2, 2014 meeting. The building, more commonly known as the Old Spaghetti Factory Restaurant in Seattle’s Belltown neighborhood, was built in 1902 for Ainsworth & Dunn, a prominent salmon-packing company, as their warehouse. In 1901, the same firm built Pier 14 (now Pier 70). The warehouse was constructed to operate in tandem with the pier. Historic Seattle, the Queen Anne Historical Society and local preservationists submitted letters of strong support for nomination. The Board nominated both the exterior and interior. 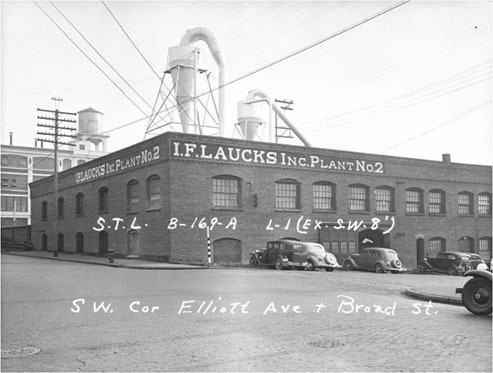 The Board’s decision was a big step forward in recognizing the significance of vernacular style industrial buildings in Seattle which are often times not appreciated or understood as well as more high style examples of architecture. The property is also significant for its association with Ainsworth & Dunn and the industrial development of the city. Its location is also a prominent one at the north end of the waterfront. It stands out among the piers, multi-family apartments and condos, and the Olympic Sculpture Park. The building’s adaptive reuse into a restaurant in the 1970s has kept it an active space for thousands to enjoy every year. The owner has been an excellent steward of the property. We hope any future plans for the block preserves the Ainsworth & Dunn Warehouse in its entirety. The surface parking lot adjacent to the south could provide the available land needed for development, allowing the Ainsworth & Dunn building to anchor a future project. The Board will consider the property for landmark designation at its August 6, 2014 meeting.